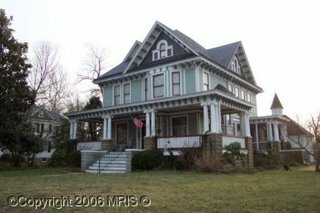 Rick has been on the internet every night looking at houses and on a whim checked out a Victorian that he passed the other day on the way to taking Zack to the doctor. 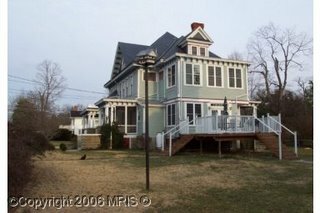 On paper, it looks incredible -- an old Victorian, 4200 square feet, central air, nice lot -- and it's in the price range. But, it's not any closer to Rick's work, and it's in a smaller town than we are in now. It's 15 miles down the road, and we'd have to drive to Easton for a certain amount of shopping and for Zack's school, BUT, it's such a pretty house. AND, they are developing Denton a bit more so before too long, it'll be like Easton. Hopefully we can get in to see it -- seems like things aren't on the market all that long around here.